Goodreads description--New from bestselling author Stormie Omartian! A look at prayer through little eyes. 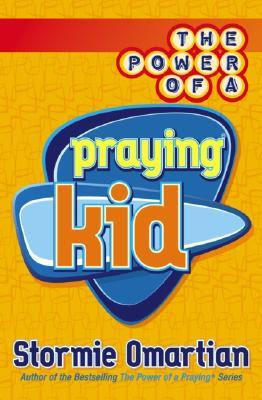 "The Power of a Praying(R) Kid "is a fun and "kid-friendly" approach to prayer for a very- special audience. Written with young hearts in mind, this short, easy-to-read book for 7- to 12-year-olds helps children learn to talk to God in a way that is meaningful and relational. 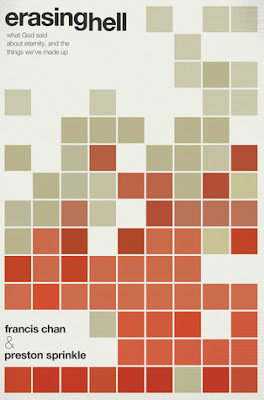 Interactive call-outs, sample prayers, and places to record their own words to God are sprinkled throughout the pages. Moms and Dads as well as children will love the message of this book for growing-up kids...God wants to hear from them and He listens to their prayers. It's no secret that I love The Power of a Praying...series. I hasn't really been a goal of mine to read them all necessarily, but I can't help but grab whichever one applies to my current situation. I grabbed The Power of a Praying Kid and The Power of a Praying Teen for my kids' Bible class that I teach on Wednesday nights. So far we've only done the first two chapters but both classes went really well. The Power of a Praying Kid is written in easy to understand words, phrases, and concepts so that even a child below teen years should be able to understand it. I love the simplicity of the messages provided in this book. Stormie Omartian set up this book to act as a sort of prayer journal for young children. I love the idea of starting children out early with focusing on their prayer lives. While this was something that I was told I needed to do as a child, I didn't really grow and cultivate my prayer life until adulthood. The Power of a Praying Kid isn't very long at all, so it shouldn't be too daunting to children. And I think it will serve as the perfect introduction to the next book, The Power of a Praying Teen. Included in the book are short prayers from other children and sections about the answered prayers of various children, as well as common things children of this age group think and pray about. Also in keeping with the other Power of a Praying...books that I've read, Stormie Omartian adds Scripture at the end of each chapter dealing with that specific topic, a short prayer over the topic, and space for the child to add to the provided prayer. My only complaint is the short section early on in the book where Ms. Omartian discusses "how to become a Christian." I don't agree with her breakdown of the process as Scripture lays it out. As I always say in my reviews of any kind of religious book, we must consult the Source and the Standard (The Bible) for the answers to any questions that we have. 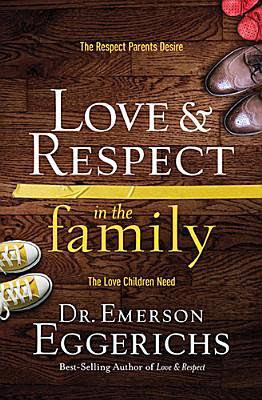 Because of this, I highly recommend this be a book that an adult/parent/teacher/etc go through along with the child/children instead of just saying, "Here's a book about prayer. Read it." It needs to be interactive with children of this age. The Power of a Praying Kid gets 4.5 Stars from me. Have you read The Power of a Praying Kid? What did you think? Let me know! We've all seen the pamphlets or read the tracts that explain how to become a Christian--how to be saved--but for the majority of people, it wasn't a publication that led someone to their salvation...this blog included. For most of us, we were led by another person. Think back in your life--was it a family member, a friend, a preacher or teacher, or even indirectly by hearing another person's testimony? The first lesson I want you to remember is how hugely important it is for you to communicate with people. Don't depend on tools and presentations. You are the light in this world. With this calling also comes the responsibility of making sure the people you talk to about your faith are properly educated. This is where the second lesson comes in. Building on the ideas in the last entry here, I've requested that you forget everything you were ever taught from some other source about your faith other than the Bible. This is a vital first step for none other than the fact that you've most likely already learned in your life that secondhand and thirdhand information is quite often incorrect. 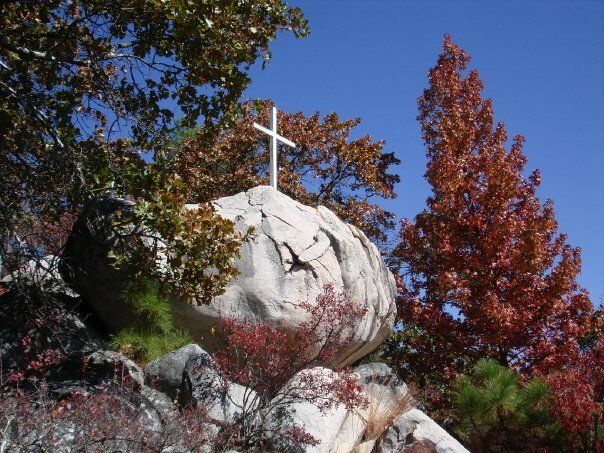 There are a ton of issues that have divided the followers of Jesus today--and we'll touch on many of these issues in the future--but once you realize these divisions have been born out of interpretations of certain people defending their own beliefs or agendas, you'll also realize why so many people today want nothing to do with anything that wears the label of "Christianity." I already know this article can also be accused of being just another interpretation, but I promise I will only present the Scripture here, and if we ever come to an issue that has questionable interpretations, I will plainly state that "I'm not sure," and we'll openly discuss these issues together. 1. Believe He is the Son of God that was sent to save the people of this world. 2. Follow His command and be baptized to bury your old life and cleanse the new one. 3. Pray without ceasing in order to form a real relationship with Him. 4. Study the Bible in order to understand what YOU are and what your responsibilities are. 5. Do what He asks you to do and don't look back. 6. When you sin, confess the sin to Him and turn away from it. 7. Love and serve others every chance you get. There are several different beliefs out there on "how to make it into Heaven", but using the outline above I will update the site over the next few weeks to explain each example with Scripture to follow. We have to first agree that Jesus was telling the truth during His time on earth, and once that's established, it's all about following the commands He gave us on how to follow in His footsteps. These topics will be open to discussion, but it is vitally important we only focus on the Scripture to support this journey. Until the next update, think about each of the points above and compare them to what you currently believe. From this moment on, I want you to forget everything you've ever learned about your faith from someone else. Just remember that moment you felt called...the moment your heart nearly exploded out of your chest...the moment you knew the rocks would cry out if you didn't respond to the Spirit urging you to follow Jesus. Now, think about what you did next. You felt God speak to you directly and invite you to follow Him, so you took the first step in knowing Him by doing what? For the majority of us, we probably went to listen to someone else to see what they had to say about it--and usually we just got a lesson about the walls falling at Jericho, or Adam and Eve eating a piece of fruit, or if you're lucky, maybe you heard a lesson about Jesus and why he was here in the first place...maybe...if you were lucky. To the point now, you experienced a moment in your lifetime when the Creator of the entire universe took an interest in your life, asked you to be a part of His family to which you said 'yes', then you felt it was necessary to go find out from other sources what had just happened to you. Sound familiar? Right now is the time for you to take the responsibility of focusing your prayer life on God's will and immersing yourself into His Word to see exactly what He wants you to learn from Him. I know it seems like a huge responsibility at times, but it is your job; and I will add it's a job you are going to be overly pleased with some day...but for now, don't be caught sleeping. You have responsibilities--it is up to you to work out your own salvation--and lucky enough, you know exactly who provided that salvation for you. A lot of time has passed since Jesus spoke these words, and since that time a lot of people have added and taken away from his words in an attempt to make his teachings fit every person. In my younger days, I saw the church as a building with a preacher, a choir, pretty windows, brass offering plates, and nice people. Now that I'm older and have the understanding that the church isn't a building at all--rather the collection of Jesus' followers--I've had to examine a lot of the views I learned as a child and compare them to the Word of God, the Bible. I am ashamed to say a lot of the things I heard as a child or even concluded for myself at various times didn't measure up to the teachings of Jesus. I'm positive there have even been times in my past when I was in the role of a teacher, and I have taught the meaning of the Scripture incorrectly. This is partly why this site has been created--to clarify my errors, to right my wrongs, and more importantly, to examine the Word of our God completely. I intend to publish my assembly lessons and sermons here as well as my thoughts on world events, but more than anything, I want to use this site to connect with old friends so we can discuss our faith. I want us all to be able to investigate our questions together, and find the answers God has for us through His Holy Word. Hopefully we'll make some new friends along the way too. At this time, I only plan to publish here a couple times per month, but there may be occasions where a weekly update is warranted...either way, don't worry about me filling your inbox up with constant emails. This site is just as much for you as it is for me. Feel free to send me your prayer requests, and I highly encourage you to send me questions on areas where guidance may be needed. We'll ask God together to lead us. For now, I'm just asking you to fill in the subscribe box to the right, hit the "Like" button, and feel free to send any study topics you want to research with me. We'll get to see this site grow together as I add features in the coming days.